Did you know that there is no such a thing as a Meyer lemon anymore? Well, at least not as we know them. Officially, they haven’t existed for about fifty years, when a virus attacked the Meyer lemon trees and they were banned in the United States. Some think that the now-extinct Meyer lemons, and the new, Improved Meyer lemons, are a hybrid between oranges and lemons. But I’ve been told by my produce guru that no one is certain as to what the heck they are, exactly. Because they are relatively fragile, these delicate citrus fruits don’t ship well. You have to know someone with a tree, as they’re usually not easily-found, commercially. Yet I scored when a friend arrived in Paris, claiming to have not one—but two Improved Meyer lemons for me. I thought about making a small batch of sorbet or ice cream, but then realized that since there wouldn’t be all that much juice from my two brilliant-yellow beauties, I wanted to extend it as much as possible. And Improved Meyer lemon juice is sweeter than standard Eureka lemon juice, and the small amount might get lost in another dessert. So I decided to make a batch of creamy, tangy Improved lemon curd. If you’ve never made, or tasted, lemon curd, you’re in for a treat. 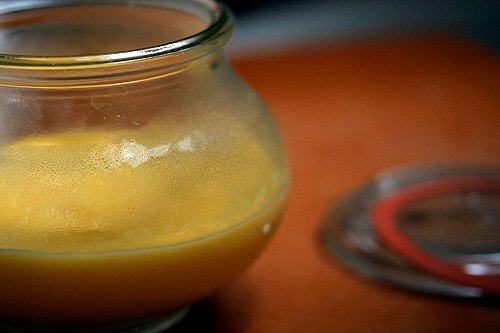 In spite of its slightly off-putting name, it’s made somewhat like a custard, but you can cook it directly on the stovetop, without tempering the eggs. It takes a few minutes of constantly stirring with a whisk over modest heat. 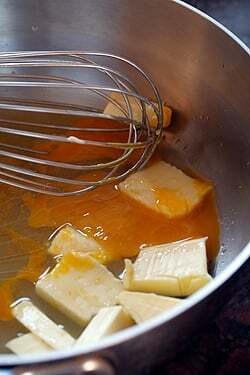 Then, in about three or four minutes, right before your eyes, the mixture will magically thicken into silky, rich lemon curd. So I guess I won’t be whipping up any more Improved Meyer lemon curd anytime in the future, unless I find an Improved Meyer lemon tree somewhere in Paris. But that’s probably not going to happen, unless someone with a bit more pluck than me at cultivating citrus takes on the task. Am not sure what they’d call them here as the word for ‘improve’ in French is améliorer. In English, ‘amelioration’ means to add more sugar. And since these lemons are sweeter than standard lemons, that would be a French paradox. And we certainly don’t need any more of those around here. Here, I use a slightly dare-devil method for making curd by heating everything together over direct heat. If you’re feeling unsure, instead of increasing the heat in step #4, keep the heat very low, or cook the curd in a double-boiler; a bowl nested over a saucepan of simmering water. 4. Increase the heat and cook over moderate heat, whisking constantly, until the mixture thickens and just begins to become jelly-like. 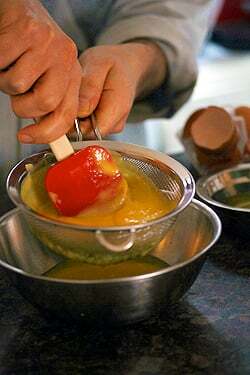 It’s done when you lift the whisk and the mixture holds its shape when it falls back into the saucepan from the whisk. 5. 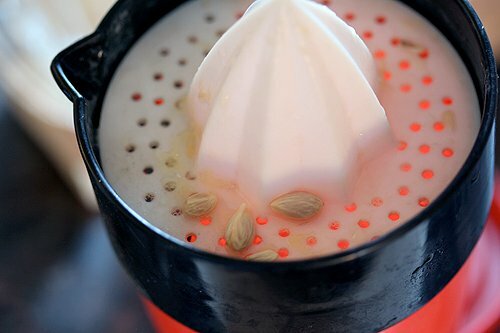 Immediately press the curd through the strainer. 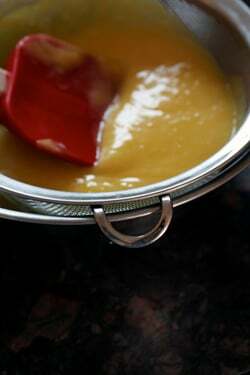 Once strained, store the lemon curd in the refrigerator. It will keep for up to one week. 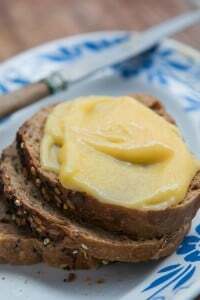 Serving: Lemon curd is wonderful spread on toast or crumpets. 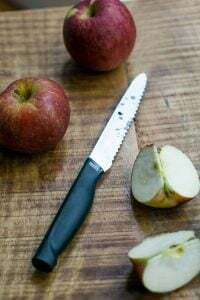 It can also be used as a cake filling and you can make a tangy lemon cream to serve alongside gingerbread by folding in an equal amount of whipped cream. Anyway, I’ve been wanting to make lemon curd, but thought the process was more complex. This looks easy. I can’t wait to try it. Avi: I was waiting for that one! 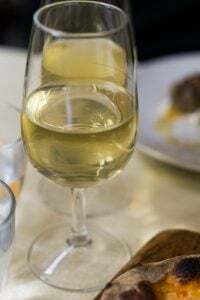 It’s a term used in winemaking, which means adjusting sugar and/or acid content to improve quality of finished wine. You certainly don’t need any more French paradoxes in your life! I didn’t know that ameliorer means to add more sugar…. That lemon curd looks delightful! I have never had the pleasure of tasting a Meyer lemon, but I’d love to try my hand at growing an indoor tree….I have some kumquat seeds drying in my kitchen to plant. Maybe I’ll grow a whole indoor citrus orchard! Mmmm. But I prefer my curd in pastry, not on toast. To be honest, I’ve never really understood the custard on toast concept. Even with the kaya I recently made, it seemed better straight off a spoon than on toast. That being said, I would take lemon curd, improved or not, anyway I could. I made once lemon curd and it was really runny and it was used in a tart and when i sliced the tart it was like a small pond and i gave up. This looks thick, iam sure gonna try this recipe. I am sitting here eating cold cereal and drooling at that toasted BREAD–looks absolutely incredible! Did you make it? I’m lucky enough to live a stone’s throw from a relative who has several very prolific bushes. They bear virtually year-round, so she’s never without lemons; and more often than not she’s eager to get rid of some of her bounty. Meyers are my favorite for making lemon curd–or any other lemon dessert, really. If you’re looking for another dessert in which the flavor shines, lemon pudding cake is a family favorite. By the way, I save my seeds for jelly-making. They’re packed full of pectin! Ah, you daredevil! I made lemon curd once before when I first starting to cook/bake and even with the double-boiler managed to curdle it :( I think I’ll try this version with more patience and diligence. if you want to email me I can send you some more (seeds at least) since we now have two meyer lemon trees. Well, one is ours, but our neighbors is so prolific and overhangs our yard so much that we get over 100 lemons a year from it easily. Ours is new and this year is the first serious year – last year we got three – this year about 20 or so. Or when you are back in the Bay Area I can arrange for Sam B to get some to hand over to you if you see her. ou la la. everything is better with lemon curd. i was so hoping the germination would work! 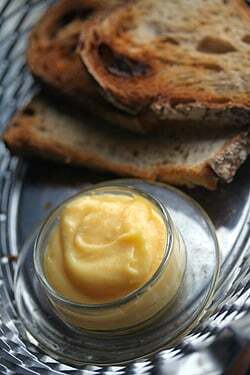 You lemon curd looks delightful and wonderfully versatile for desserts, spreading on breads or just eating straight from the jar. I have a few meyer lemons from my recent visit in California and will put them to good use. I wish I could send you a meyer lemon tree! I know there are regulations against bringing non-native plants into the EU. When I was living in the bay area I had three improved meyer lemon trees (two that were started from its parent plant) that were prolific and gave me ripe fruits all year long. Even though your lemons seeds went to mush, I hate to tell you that it was unlikely to achieve a fruit bearing meyer tree from seed, especially from a fruit that is a hybrid (complex heritage/genes). It’s a mixed bag, you can get fruit that is similar to the meyer or one that may not resemble its parent at all. Also it could have taken perhaps 4-10 years before the sprouting the lemon tree would reach a stage of maturity to bear any fruit, so you may be disappointed to find that out after half a decade of giving so much love and care for the plant that the fruit was potentially inedible. Most meyer lemon trees are typically achieved by grafting a stem cutting onto another citrus root stock. In the past, I’ve successfully cut off a young stem dipped it in a gel root hormone and stuck it into soil to find it root! It truly feels like a miracle when you find 1 plant that will take root, while the other 5 just die off. They are wonderful houseplants that do not take a lot of room with fragrant blossoms, which will produce the same fruit as its parents. If you are looking to start one in Paris, I suggest that the next time you are in the bay area have some gel root hormone($10) and soil ready in a gallon-sized plastic bag. Contact me and you can cut off as many stems as you would like from my old trees. My kind neighbors are taking care of them, they have one tree that produces 200 sweet juicy fruits in a year, and I know you’ll want a copy of that one! Thanks for the recipe, I bought a box of Organic Meyer Lemons from a small orchard in CA and I made some preserved lemons and some lemon marmalade. My next recipe was going to be lemon curd and I was just going to start searching for a recipe. I can’t wait to make this – MMMM. With those farm fresh eggs I get it should be wonderful! I’m hoping to buy a meyer lemon tree for my house soon, as well as a mexican lime. I’m pretty sure we won’t find any meyer lemon in Paris, I feel so frustated when it’s the season and all american bloggers talk about its wonderful taste… But maybe it’s possible to find a small plant (like, something bigger than a seed)??? At home, we have lemons and oranges with our trees (yes, in the Parisian region), so why not a meyer lemon tree?? I just recently got my hands on some Meyer lemons from a relative’s trees – after growing up on the West Coast where Meyer’s are more common at the grocery stores than Eurekas I can’t even put into words how excited I was to get some again. I didn’t even think about making curd! Instead I tried out a shaker Meyer lemon pie. I’m waiting on them to finish macerating right now to put in the pastry crust. This year I have discovered Meyer lemons and I think they are so delicious and delicate. I visited a friend in Berkley and while there I had the feeling that I was in the lemon town…so many lemon trees and so many Meyer lemon trees :). oh lovely! i just made that miraculous tart shell for the first time ever and now here is an easy recipe for lemon curd to go with it. i really love what you said about folding the lemon curd in whipped cream and serving it with gingerbread. that’s a must try too. I long ago dispensed with a double boiler for making lemon curd, just isn’t needed. You’ve missed the number one way to enjoy lemon curd: straight from the jar, tiny spoon by tiny spoon, usually just before bed. Lovely light in your photos, David. I love lemon curd!! Ever since I found the first jar of lemon curd I am hooked. 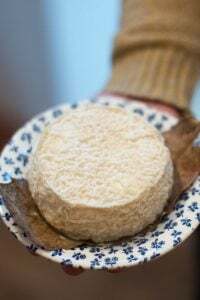 It is not something that is easily found in the netherlands but recently it has become better available, but I have always wanted to try it out myself and now I have the recipe to do just that. It’s unlikely I will find meyer lemons so I will have to stick with regular! This technique is different, but the Sabayon recipe from Thos. Keller/Bouchon is almost the same, except it uses 3/4 cup of sugar. 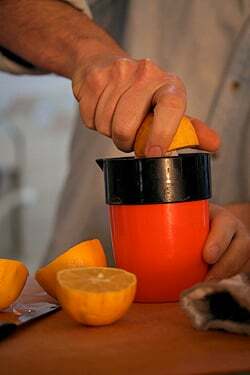 He has you add the lemon juice in separate additions over a double boiler, while whisking your arms numb. I used fresh Eureka lemons from a neighbor and even with all that sugar, it was so tart I could barely get passed the first taste for the mouth closing pucker those lemons produced! Yikes! Why are the techniques so different for what seems basically the same product? i love the picture of the big, yellow, eggs yolks. Looks like a lovely spread for some toasty fresh bread! this is my first comment here, altho I read the blog all the time. love it. .I live in the Sonoma valley, and in my neighborhood all the lemon trees are Meyers’. mine is in a wine barrel and produces lemon all year. 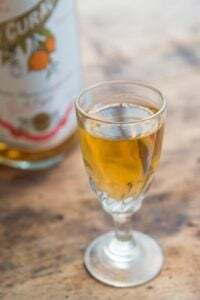 another way I use them is for Limoncello.. the Best!! thanks for all the great recipes and stories. I so love lemon curd! I have a recipe that came from a cookbook of my grandmother’s and of all my preserving efforts, there’s not much that makes me happier than the beauty of lemon curd! On fresh gingerbread there is nothing better! I planted an Improved Dwarf Meyer Lemon two springs ago. This year (hopefully!) should be the start of good fruiting from the tree. It seems to be doing pretty well and I’m really crossing my fingers for good results this year. Between the curd and the preserved lemons you posted a few weeks back there will be no lack of good use to put them to! When I started paying $.75 a pop for lemons in SoCal (for lemons! in a place where citrus is supposedly plentiful!) I finally broke down and decided to grow my own! Our mail service can take a really long time and it is often 40 below when I order them. 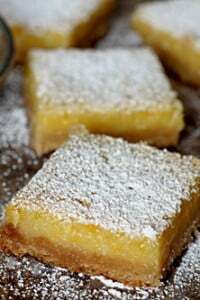 I love making lemon curd and my favorite recipe is the Luscious Lemon Bars from Alpineberry. Alemeny Farmers Market (in SF) has them 6 for $1 right now! I just finished 12 pints of curd for holiday gifts. I now have 48 egg whites sitting around waiting to be made into macarons–thanks for your constant inspiration. How long can we keep it in the fridge (assuming we don’t eat it all?). I love Meyers, we have a few trees ‘out the back yard’. 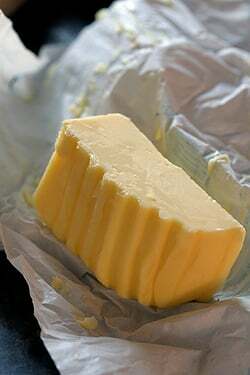 If you melt the butter in the microwave, then add everything else, zap for about 30 seconds a go, whisk a bit, and keep going till its thick enough. Never curdles, easy to wash the bowl. My favourite is a fresh sponge split, lemon curd and cream filled, dusted with icing sugar – divine… and then there is this lemon and almond tart that is to die for… ohhh… might have to go see if I can find some lemons. Ooohh, I love lemon curd, and my parents have a bumper crop of Meyer’s (or, I guess, Improved Meyers). Only so many Shaker lemon pies and marmalade we can eat in one year, so it will be good to vary production a bit. Only one thing I don’t understand: why, David, is the low heat/double boiler method for the intrepid? Intrepid means fearless! Someone handed me two just today and I felt as if I had a handful of gold! (They’re hard to come by here in Arizona.) I grew up in Sonoma County and Meyers are the taste of my childhood. They’re the only think my grandmother used for lemon meringue pie. I have a tree that makes lots of Meyer lemons and make curd all the time (with my backyard hens’ eggs). It is a wonderful yellow, sunshiney, lemony friend on cold, grey Nor Cal Winter days. I did also want to let you know that citrus seeds don’t sprout true. Like apples, all seeds have all the genetic make up for all the citrus possibilities, and more often than not they end up as sour oranges. The only way to get a Meyer lemon tree is to buy one that is grafted with Meyer lemon branches. Otherwise it is a crapshoot. I have a Meyer Lemon tree in my back yard that has been there for over forty years. It is excellent for lemonade but I have never used it for lemon curd. It seemed to not be tart enough for my taste in a lemon curd. In my block above Lake Merritt in Oakland, there are 3, count em, 3 Meyer lemon trees and each one bears loads of fruit….right now they’re all covered with ripe lemons. 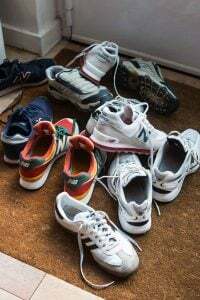 Mostly they just drop to the ground and rot!!!! How could people be so dumb? 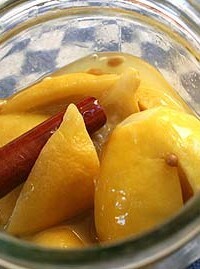 I harvest as many as I can and make preserved lemons, lemon curd, lemon pound cake, etc. I once ran into a woman who had moved here from NYC. She stopped me on the street near my house and asked why Californians were so crazy. She said that in NY, people would be picking oranges off the trees if they had them on the street as they are here. She had a handbag full of oranges. I’m actually glad that nobody seems to care about these Meyer lemons…all the more for ME! PS: I’m in the camp with the person who posted that she didn’t like curd on toast. A note on the Meyer lemon and it’s provenance. The lemon is named after a Mr. Frank N. Meyer, an agricultural explorer for the US Dept. of Agriculture way back when. He spent much of his time here in China packing up specimens that were sent back to America to be hybridized and eventually grown by American farmers. He died in the Yangtze river not to far from where I’m writing this, Shanghai. They say a Meyer lemon is a lemon/mandarin cross. A thing you probably didn’t know is how wonderfully diverse and productive the mandarin farmers are in south-central China, which leads me to wonder if the Meyer lemon owes more to its mandarin parents than its lemon ones. Last year there was an unfortunately large bumper crop of mandarins in southern China and while you could buy them for next to nothing many were just piled up next to the road to rot away. If only your blog was written in Chinese as well as English, then maybe the Chinese people would have had other more interesting ways to eat their mandarin oranges and they wouldn’t go to waste. Merry Christmas. What a coincidence that you would write about this today! This morning I made a Meyer lemon curd tart using 4 lemons harvested from my little dwarf tree! I waited 3 years to get those lemons… I almost gave up. In all I have 18 yellow jewels, I’d gladly share some but I’m in L.A. I used the recipe from The Art of Simple Food, and your recipe is very similar except for one more egg yolk. I got about 2 cups from it. I took the tart to the office and it was a huge hit! jonathan: Thanks for the information. Even though it’s always my dream to have lots and lots of citrus, it’s hard to cope with a prolific harvest. Too had some canning company didn’t make a lot of marmalade! By the way, I’d don’t know if you (or any other readers) have read Oranges by John McPhee. (Available on Amazon.) It seems like it would be a one-dimensional topic for a book, but it’s pretty amazing and I highly recommend it. Oakjoan & Lisa: It’s like my friends in Hawaii who have avocado trees (and a friend in Florida with a mango one)-they just don’t know what to do with all the fruit! Perhaps I should start some sort of ‘global exchange’ program! Maureen, Iona & Christine: I was skeptical, too, about sprouting them in a paper towel. But the information was on a pretty reputable website, so I took it for true. But since it seems like that’s not the best way to ensure a lemon tree in a small Paris apartment, I think I will just have to wait until the next visitor brings me a few more. And Maureen, ever since last year when I switched for good to farm-fresh, local eggs (whenever possible), I haven’t regretted it one bit. Yes, they’re more expensive, but cost-per-egg is still really low and the eggs taste so much better! These lemons never crossed my way. I do lemon curd with the lemons we have here in Greece, which tastes great too. I love your step-by-step description! You post is hilarious…. and to sprout even an acid lemon, you simply need to dry the seeds in “sunlight” – as opposed to oven / dehydrator for a couple of days till it is slip proof & plant it! Best done in the warmer seasons, for obvious reasons of dormancy vs active that is dependent on seasons.. you could dry your seeds in fall & plant in spring too… life is far more resilient than we give it credit…. well, i just used up one of the improved meyer lemons i brought back with me and i have one pip. will try to make it grow into a tree, and will try with the pips from the other lemons. if i am successful, i will bring you one of the babies to paris, but first i have to read up on how to achieve success. There are lots of meyer lemons in Australia but I have no idea whether they are the original ones or the improved ones. Lemon curd is also known as lemon butter here but whatever name, it is scrumptious. I cannot believe how yellow your yolks are. One of the reasons i want to move to Menton is for the lemons. I will never forget the scent around this town. I am so glad that I came across your blog. I will read it regularly! The recipe was very interesting and I need to try and taste it. Thanks! Our improved meyer lemon tree has proved that it survives on total neglect and rewarded us this year with an amazing amount of fruit – just ripe as we speak. It’s incredible how much sweeter they are and yes, fragile with a very thin rind. We’ll be making a lot of marmalade, curd (your recipe, thanks! ), tarts, tortes, but most especially limoncello! Oooya! We have Meyer lemons (or something like them) in Nice, so just ask next time I come! Not sure if I can find any before catching the plane tomorrow, but next time for sure. the second i read ‘banned’, i was seized with the desire to own one! lemon curd is one of my favorites & this version is superb. thanks! I bought a Meyer Lemon plant online from the wonderful Logees Greenhouses in Danielson, CT. It flowered and fruited after the first year. Am getting ready to harvest the fruit right now so the timing of the lemon curd recipe couldn’t be more perfect. Reading this post, I kept hearing a Homer Simpson-like voice in my head, repeating, “Mmmmmm, lemmmony!” Makes my mouth water, this does. I wanted to compliment you on the photography; every photo has such a nice warm glow to it! The last photo with the curd and the toast looks so delicious. I would love to have that plate and a hot cup of tea by my side right now. My parents planted a “true” meyer lemon tree when they bought their house in Los Altos, CA in the early 50s. It was a prolific producer and gorgeous on top of it. Unfortunately for both us and the tree, my mom sold the house a few years ago and the new owners demolished everything on the lot, including that wonderful meyer lemon tree (they obviously don’t cook or bake). I still have my memories – and a small but growing “new” meyer lemon tree in my backyard. I’m blessed to live in California and have access to Meyer lemons. 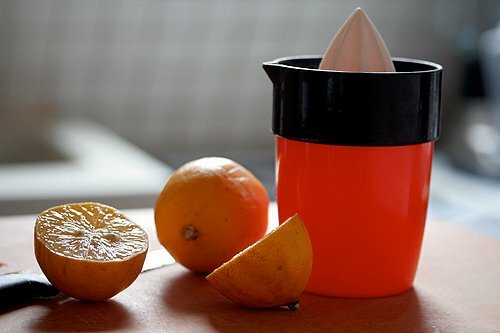 For those who don’t have lovely Meyer lemons — I’ve read you can substitute 2 parts regular lemon juice to 1 part orange juice. Also 2 parts regular lemon zest to 1 part orange zest. I haven’t tried it, but . . . good luck. Oops. I forget to mention. One of my favorite cookies is Amanda Hesser’s Meyer Lemon Sables. 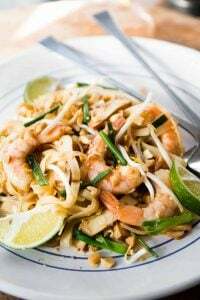 I don’t know how to create a link — but Molly at Orangette has the recipe. Try it with a cup of Earl Grey tea . . . you’ll like it. Funny, I have a great recipe for lemon curd, and I was just thinking about making some next week and “canning” it for gifts this Christmas. When made with a sufficient amount of Eureka lemon juice for acidity, lemon curd cans beautifully in a hot water bath, and will last for up to a year if properly sealed/stored. It’s such a treat to pull out a jar from the cabinet. I am trying this lemon curd. In the South we make what is called a Lemon Cheesecake. The name means nothing because it is a 3 layer white or yellow cake with lemon curd between the layers and on top. Delicious. I love the simplicity of your recipe. Thanks. Amanda: Good eye there! When I was in New York, I saw similar vessels at Zabar’s and they were called “confiture pots”, or jam pots. So I guess it is for jam, rather than garlic. Or lemon curd! Bakers in Paris — Detou is now carrying chocolate *chunks* — about the same size as Toll House Morsels — and it makes all the difference in the world how your cookies taste. The old ones were just too teeny. Their vanilla beans (great price!) also make terrific vanilla — I split and seeded 5 beans, then cut the pods in small pieces. Dumped it all into a pint-jar of vodka, and shook it daily for 8 weeks. Taa-daa….great vanilla; none of that vanilla sugar nonsense. With the exception of cliff diving, making custard over direct heat is likely the most daring thing I’ve done. Seriously. I was anxious and whisking like a madwoman until it thickened and didn’t scramble, which prompted a big sigh of relief (and surprise). Wow, what else lies over the horizon that I never thought possible? Thank you for the easy recipe and for something lemon (and not pumpkin, which I’m holidayed-out on already), with the caveat that my curd may feel a bit like the country cousin without Meyer lemons. At any rate, it’s awesome and oh so lemony! Interesting story about the meyer lemons! Thanks for sharing! I love Meyer lemons too and am pleased I can get them down the street from me. Your lemon curd looks amazing, sometimes when I make it I spread it on top of pavlova. I’ve always wondered what the meyer lemon is, since I’d seen them in Trader Joe’s a couple of times. I was wondering if it’s like the sweet lemons (heavenly!!) we used to get in Iran (and my uncle is still able to get in CA). But it sounds like the ones you are talking about are tart? Neomi: There are a few varieties of ‘sweet’ lemons (although many are picked hard and underripe, so they’re tart & sour). In France, there are Menton lemons from near Nice. They’re hard-to-find in Paris, unfortunately, although some specialty produce supplier have them. Incidentially they do have a Menton lemon festival once a year-here’s a interesting picture of one of the parade floats, made of Menton lemons! Sunny: Thanks. Their chocolate chips had one of those funny-tasting sweeteners in them (like maltitol or sorbital, I can’t remember which), so I avoided using them in favor of chopped chocolate. I think in my post on G.Detou, the chunks are pictured in the second shot, if those are the ones you’re talking about. Donna: Glad you liked the book! I love having a bottle of homemade lemon curd in the fridge. A small scoop on a piece of shortbread or two and dessert’s ready and yummy. Mmmm look at that tasty goodness… I love lemon curd. Add a little gelatin and this would make a great macaron filling, no doubt. Ever tried passion fruit curd, by the way? Ho-ly, that’s some good stuff. Okay I have to tell you I made your pear and almond tart this weekend and it was great. But the best thing about it was the French tart dough recipe that you suggested (à la Paule Caillat). Wow. Truly a fantastic pastry. So good that it has usurped my own recipe… and with melted butter! Who knew?! Hi, David et al — I pulled the pouch out of the cupboard to make sure — the “chunks noirs” come in a silver pouch with a zip-top seal. The ingredients are: Sugar, cocoa paste, cocoa butter, soy lecithin (emulsifier) and natural vanilla. No -ols to be found. I knew I hadn’t seen this packaging before — it’s definitely NOT the plastic tubs in the Detou post –and the girl at the service counter (not to be confused with the checkout counter!) said they were new, and that the only difference between these and the mini-chips was the size. Given the speed with which they’re being eaten right out of the bag, it’s hard to tell how many batches of cookies I can make with a pouch, but I think it’s 3. The best restaurant dessert I ever had was warm housemade gingerbread and lemon curd with whipped cream at a seafood (duh) place in Point Reyes, CA. Pain d’epices might be a good substitute. You are too funny. “Improved” lemon curd, indeed! I also had the same problem when trying to germinate Meyer lemon seeds here in the US – though I have had success growing citrus that way from seed when I lived in India. Maybe the warmer climate helps. Will some of the lemon curd be finding its way into tart shells? Yum. By the way I made your pear and almond tart for my Thanksgiving dinner(s) and it was a huge success. Thank you and keep those recipes coming! hoping I am up to the task of making lemon curd for the first time….. If you find yourself with more of your friend’s Meyer Lemons, you might want to try a simple thing that we do with ours each year. Dice them up–skin, seeds, flesh and all–and wrap them in fresh crepes, with a spoonful of brown sugar. The sweet and sour goodness will dribble down your chin and taste like heaven! Oyster Culture introduced me to your site, and I am enjoying receiving your post via email feed. I agree with Christine, hybrids cannot be grown from seeds, so maybe someone can send you some overseas via mail. I have successfully sprouted seeds through soil under lights all year long, as in tomatoes. I would try a Meyer tree if I had the space, as they are lovely. I also learned through my gardening endeavors that the lemon was named for its founder, and gardeners and science have cross breed all sorts of vegetation, so I do not doubt that it was done as we have been told. I once bought some ‘Pink’ lemons, with the green strips, and passed the seeds on to a friend in Texas, and she has told me they are growing, so I am looking forward to bringing some home on my next trip down south. Hi, just finished making this lemon curd and it turned out great. My first time! I’ll be serving it tomorrow with my freshly made scones. Thanks for the recipe. I just made this recipe, last night. The lemon curd is great. The recipe is even better: useful, simple and works. I used some lemons I got for free from a neighbor. Plan on using them to fill thumbprint cookies. Tangerine curd? Tangerine flavor seems really hard to capture; I wonder if it’ll survive the heat. Only one way to find out (unless somebody’s tried it before!). Made lemon curd on a chilly Sunday afternoon. It was delicious on yesterday’s pumpkin cake. Later, with toast, I realized I had recreated David’s final photo. 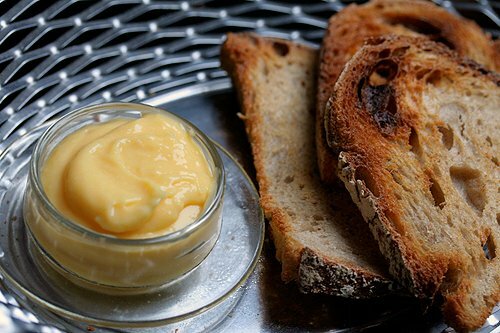 The curd accents the cake slice and toast, even my spoon, with its sunny color and flavor. 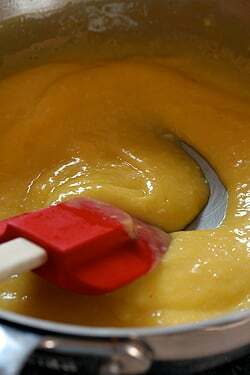 Lemon curd is fantastic, making it with meyer lemons.. interesting.. If the Meyer Lemons are ‘merely’ sweeter lemons, whats the point in using them in curd, as the sugar amount is just changed? Do the “Meyers” have different taste from normal lemons, besides the sweeter part? I used to take meyer lemons for granted because we’ve had a meyer lemon for over 10 years. It wasn’t until a few years ago that our food friends found out that we had a meyer lemon tree, that I realized how expensive and valuable they are. Meyer’s can be pricey! Now, I find myself to be a very lucky girl when Todd makes his meyer lemon curd pie with chocolate espresso ganache. And because of you and this post, I can call it his “improved” meyer lemon curd pie! re: garlic dish, I thought those vessels are for butter????? PS: I saw mini meyer lemon trees a couple of weeks ago here in Rome, with 3 lemons on it. I wanted to buy one but the florist said you can’t keep them in the appt., it needs to be outside (though I doubt that with this cold going on around here…). Tangerine didn’t work. It took forever, didn’t thicken properly, & tastes like cooked egg yolks (it didn’t break, though). Tangerine juice not acidic enough, perhaps? I’m now wondering if the lemons you refer to are what we in Portugal call Limas? Which taste somewhere between lemons and oranges, difficult to describe but they don’t yield a lot of juice either. Azelia: Improved Meyer lemons have tons of juice, so I don’t think they’re the same. But there’s so many kinds of citrus out there, you likely have other delicious ones there. Kris: Normally curd is made with lime, lemon, or passion fruit, since the acidity cuts the richness of the butter and eggs so perfectly. Tangerines should have worked, technically. But I’ve never had a batch fail using lemons or limes. As usual, your timing is perfect as I’m picking Meyer lemons from my potted trees, now inside for the winter. I’ve never made lemon curd, so I’m really looking forward to my first attempt. thanks! I absolutely love lemon curd, and it has been one of my favorite things since I was young. Any my improved meyer lemon tree is dripping with fruit (yes, I live in No. Cal). But, whenever I try to make it directly on the flame, while it doesn’t curdle, the texture is a bit grainy, even if I sieve it. I don’t have that problem when I use a double boiler. The direct method is so much easier, but the texture takes away from the experience. Any thoughts on how to get a really smooth curd with the direct cooking method? Lemon curd is the best! I have to tell you that I make all my curds and custards in the microwave … try it. They always come out perfect – no curdling and smooth and no need to strain. The trick is to heat it up a few minutes at a time at about medium heat level and then as it begins to set you can let it rip with high heat for the final boil. Love your blog … I have never had the joy of visiting France and most of my foodie experience centers on Latin food – Colombia and Caribbean – as that is where I spent the first 17 years of my life and then a midlife crisis sent me to Miami to Johnson & Wales where I really enjoyed the Latin and island influences of food. Hopefully one day I will get to look through the windows of all those amazing French pastry shops and feel like I have gone to heaven! I saw Meyer lemons at Cosco last week. Did not what to make with them. I love lemon curd. My grandmother used to make it a lot. I just made lemon curd (to go between some almond macaroons, and on some blueberry scones) moments before coming here to read your blog and then you reminded me that I I could have, should have, used Meyer lemons, only my Improved Meyer lemon tree sitting in the corner of the kitchen is not happy with the heating and dropped all its flowers and half of its leaves two weeks ago, so to get the Meyer lemons I would have to go out to the store and it is -10 degrees out (more with the wind chill). At least, though, Meyer lemons have gotten very easy to acquire. Here on Cape Cod, in bitter cold New England, you can get them at the supermarket. Stop & Shop sells them. My green grocer sells them. The natural foods store sells them. It used to be really hard to get them on the East Coast but now everybody seems to have starting around Thanksgiving and ending around April. Your lemon curd looks really good. And I like the idea of throwing everything in the pot together. Oh well, next time. I always find something interesting here. Thanks. Thank you for this new recipe! I was recently given a Dwarf Meyer Lemon tree and have have the beginnings of baby lemons growing (although I’m not sure if they’ll survive to Lemon adulthood, due to my luck with plants), but if they do make it, I can’t wait to try this recipe! your post is so funny, thank you! I love lemon curd, and I regularly make it with Seville oranges, which I adore. I have never tried Meyer lemons, unfortunately, but just a couple of days ago I picked lemon from an organic tree in a place looking quite like heaven in Southern Italy, and I am trying to capture some of the sun in lemon curd, of course! By the way, I add also the zest for extra flavour, even if it does reduce the silkiness a little bit. I have a question for the lemon curd experts out there: how long will it keep? I have an unlimited supply of wonderful lemons at the moment and I want to make as much as it is sensible. I am keeping it in preserve jars that will form vacuum when you make them boil, the ones I use for tomato preserve. Any ideas? Thanks! Just finished making this curd and it will take all my strength not to sit and eat it with a spoon! I’ve recently made key lime and cranberry curd as well…onto blood orange next! I live in Florida and we have a lot of Meyer Lemon Trees here. 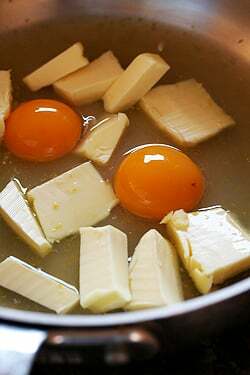 – What’s the difference between a curd that has only yolks in it compared to one with whole eggs? – Is there any way to get rid of the slight eggy smell of the curd, or is it supposed to smell like that? – What’s the purpose of straining the curd in your recipe? I made this lemon curd the other day and it was so easy and is so silky smooth! I love this method of everything in the pot at once. I did increase the amount of sugar to suit my taste, as I know you like things less sweet. The Eureka lemons from my neighbor have always been very tangy so I knew I’d have to use more sugar..I’m glad I did, and it’s still very tangy..but oh so good Thanks, David. LAZY! I too have mutated to what I am calling Lazy Lemon Curd. After years of separating eggs, tending double boiler, and endlessly wisking in butter, I now gently melt the butter, then stick-blend whole eggs, lemon juice & sugar directly in the pan and wisk over medium heat a couple minutes. ZEST! Oh yeah, what about the zest? It adds that special pop. I strip it off and add it after the stick-blending. It strains out just after the curd is done, leaving the texture silky. ok, I ordered a case of meyers lemons and today made the lemon tart with David’s lemon curd & tart recipe. The sweeter, less tart meyers lemon makes the perfect curd. Less sweetening is required, more lemon flavour comes through. Total success. I also added the zest! 10lbs, $25 – worth every penny. ps. lemon curd was cooked in the microwave. Also tried it in a whiskey sour, but in that case this type of lemon isn’t sour enough to balance the sweetness of the bourbon. one of my all time favorite things! Wish I had lemon curd and some shortbread cookies right now! Just made a double batch and it’s fabulous! So haha on you Mr. 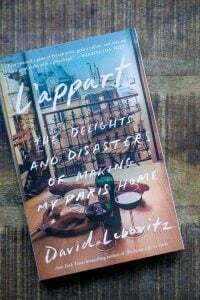 I Live in Paris! I have 2 (two) Meyer Lemon trees in my yard in Oakland, CA. I’ve been making lemon curd shortcake ala Medrich for the past few weeks. I also came across an article in the NYT last week for crumpets and blood orange/meyer lemon marmalade. It’s sooo easy and quite delish with clotted cream (Mascarpone and cream and I used a dollop of Pavel’s yogurt). I love that you’re touting the easy direct heat method of making lemon curd. Medrich does it too and I was delighted it was so easy! Oooh, I wish I came across this recipe when I was living in Orange County with my budding citrus garden. The meyer lemon tree was the only consistent producer but my yuzu and kafir lime trees were maturing nicely…Now I am woefully citrus-deprived in Montreal. BTW “intrepid” means “fearless” as in “an intrepid explorer” so I believe you may be thinking of its antonym, such as “timid” when suggesting the use of a double-boiler. Please keep sharing your wonderful recipes and humorous insights with us! PS In Japan we have many varieties of citrus (other than yuzu). Some I haven’t seen mentioned much outside of the country are the ponkann, kabosu, and dekopon. Wikipedia does a decent job of explaining the cultivars on their citrus page. I just had to write you because I knew you would appreciate my utter astonishment to have stumbled upon some Meyer Lemons in my natural foods supermarket yesterday! I bought them all for three dollars! I should go back and see if there are any more because I adore lemon curd….